Compositech manufactures wear plates and pipe plates for both disc and drum filters. The pipe plate is bolted or welded to the end of the trunnion. Each port in the pipe plate corresponds to a section of the disc or drum. The pipe plate will generally be manufactured of stainless or carbon steel. A replaceable wear plate, having the same porting as the pipe plate, is mounted between the valve body and the pipe plate with tension springs to provide a tight seal. The valve body is stationary and the pipe plate and wear plate rotate with the disc centershaft or drum. Wear plates are a lightweight component fitted with grooves which are filled with oil so the plate maintains lubrication. We provide wear plates in many composite materials and also in a variety of metals for different applications. Our replacement wear plates include predrilled mounting holes for many models which results in installation time savigins of up to 3 hours. 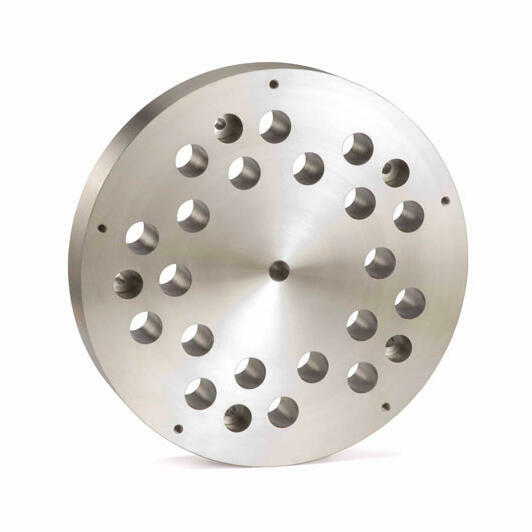 The face of the wear plate should be checked periodically and be re-machined or replaced if necessary. A whistling noise during operation is an indication that the wear plate is worn out. Compositech is a top wear plate manufacturer, and our design team evaluates original equipment to identify improvements which will ease part installation and improve performance. 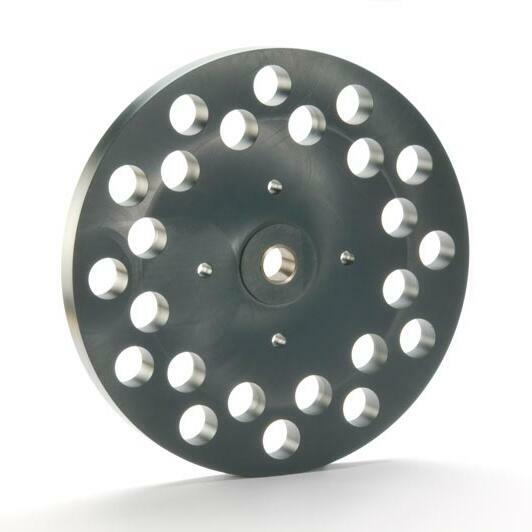 We stock both pipe plates and wear plates for most models of disc and drum filters. We ship machine-ready replacement pipe plates and wear plates for installation by your own crew or our service group is available to schedule an installation.